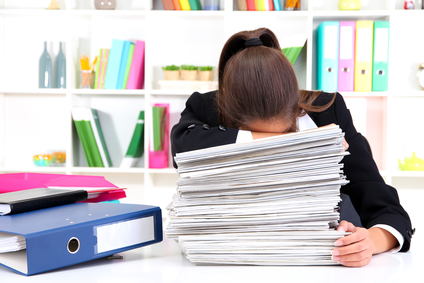 If you suffer from workaholic syndrome, you're not alone. According to the International Labor Organization, almost 20 percent of Americans work 48 hours a week or more — an amount the ILO considers excessive. More than one-third of Americans don't use all available vacation days, and nearly one-fifth have canceled planned vacations because of work obligations. As for employees who make it a point to vacation, nearly one-third stress about work while they're away, highlights Expedia.com's annual International Deprivation Survey™. And if you're an entrepreneur who's risked it all with your new business venture, a vacation and stepping away from work seems absurd. Our work culture promotes and nearly enforces overwork. For instance, the Huffington Post recently published an infographic developed by Katy Hall and Chris Spurlock that's chillingly titled, "Paid Vacation Mandated Almost Everywhere Except U.S." The facts are more grim than the headline. While all other industrialized companies legally require paid vacations and holidays, the U.S. doesn't even guarantee such benefits — much less require them by law. According to the "The Fair Labor Standards Act" and U.S. Department of Labor, the FLSA doesn't require that employees be paid for any time not worked, including meals times, breaks, vacations, sick days or holidays. Yes, changes have been made throughout the years, but the FLSA legislation is 75 years old and reflects a time when six-day workweeks and child labor existed. Paid days off were an incredibly generous employer offer during times when unemployment was rampant and safety nets were few. Laws remain arcane and unadjusted despite scientific research that supports time off. Big businesses oppose suggested and sought-after modifications to the FLSA. An annual vacation can increase life expectancy by 20 percent in middle-age men, according to research by the State University of New York at Oswego. More than one-third of professional workers return to work from vacations and demonstrate increased productivity. Women who enjoy a minimum of two vacations per year experience lower rates of depression, fatigue and unhappiness with their marriages, explains a study by the Wisconsin medical journal. Whether you can't seem to detach yourself from work or you want to keep your employees chained to desks, reconsider. A vacation this summer can restore and refresh mental health and rejuvenate the body. Enjoy a guilt-free vacation, whether you're a small business owner or medical laboratory assistant. Allow your employees to do the same. Mental and physical health and happiness will help your business thrive. Alexis Brown is a medical student from Philadelphia and writes for several blogs.